Tired of your ear phone cables getting entangled? You travel on a public transport or walking a distance and you want to look cool without cables messing your listening pleasure when you need to take stuff from your backpack? You go gym and you want to have the ease of use for listening intense music without wires running round your body, therefore disrupting your workout. You want to eliminate the cable noise when running on thread mills or using elliptical trainer or cross-trainer? Portable Bluetooth headphone is the way to go! Fortunately, I have the privilege to use Logitech UE9000 which not only help me get rid of the wires snaking around me or taking sometime off just to get the wires untangled. It offer high quality of sound production especially when comes to bass and yet not losing the clarity as some headphones I had tried, usually sound muffled. Not this baby, UE9000! I am one sucker for movie soundtracks and EDM (Electronic Dance Music) or specifically Progressive Uplifting Trance music. UE 9000 provides me eargasm I experience each time I cover my ears with such headphone! I pay a lot of attention when comes to bass, even my car is installed with a Sub-Woofer which tells you alot about me. Yet, bass without loosing the clarity or the acoustic is what UE9000 had given me. After testing a few ear phones and headphones including Beats, even my colleague who is a female sound crew praise this headphone! 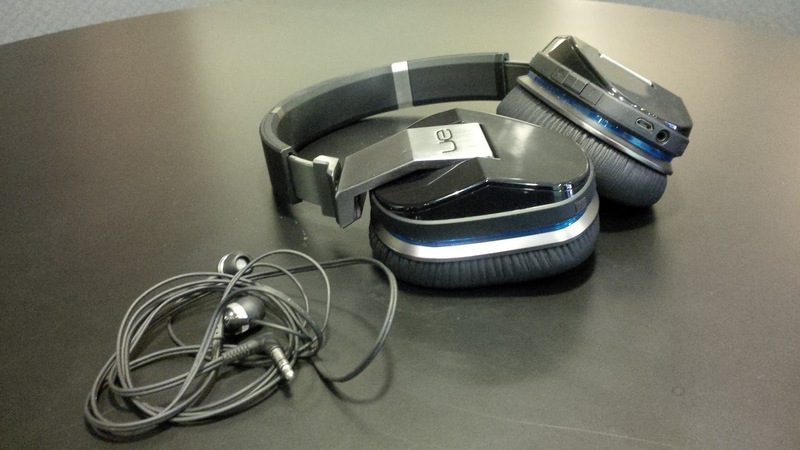 It is designed with a noise-isolating, cutting off distractions which allows you to truly enjoy the sound of music! I do not need to change batteries like how I need to do for other amplified headphones.Supposedly, it is able to last for like 10 hours and I just need to connect to any micro-USB cable to any wall outlets or your laptop to charge. It has the ability to mute the headphone sound and enhance the external sound to my headphone if someone wants to speak to me. Needless to say, it has internal microphones for hands-free phone calls too. In terms of design, like what my colleague said, it is heavy but yet the built is geared towards appealing guys and even DJs as you can rotate the joints sideways and it is flexi-fit, adjusting to the size of your head easily. Simply like their soft plush memory foam cushions which doesn't get hot round my ears too easily which most headphone I tried do get hot after like 10 mins of using it. This one make you feel comfortable to put on if you listen to it for hours especially when you watch movie with it. Inside the box, you will find cable with on-cord mic and controls, just like what the headphone itself offers. USB charging cable and AC Adapter. It also comes with 1/4 inch adapter jack as well. Carrying case that contains all these stuffs. The only set back will be the pricing (RP S$599) but however, you won't be disappointed with the quality of sound it gives you! With 2 years warranty, it should provide certain sense of security.